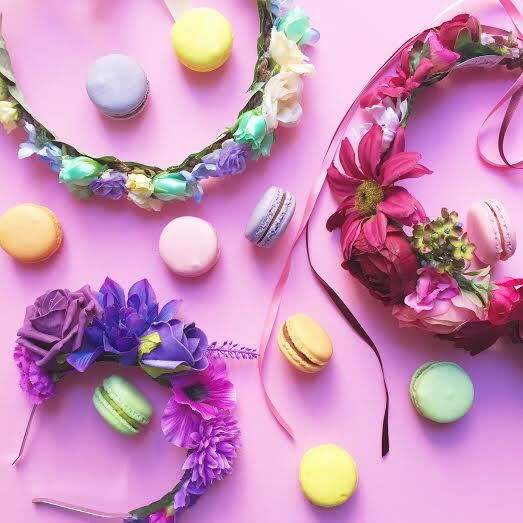 "Visitors will be able to pick their own custom faux fleurs from sweet jars and watch the Crown & Glory gang whip up a unique floral crown, fascinator, headband or clip especially for you! Good fun for girls and ladies of all ages, from sassy fasionistas to boho festi-babes! Gents can have floral beards and even puppies have gotten involved with floral dog collars made! 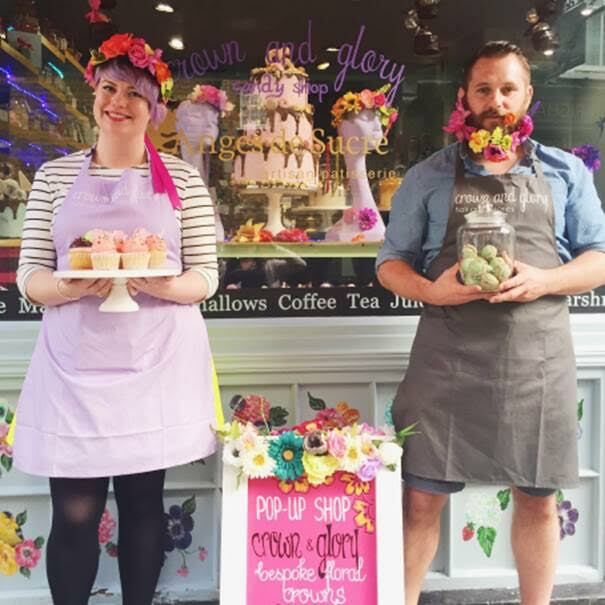 Simply pick your boho blooms and get the C&G folks to create your own unique floral headpiece at a special rate, while you tuck into to delicious macaroons and freshly baked cakes in store." Saturday 9:30 a.m. – 7:00 p.m. Subscribe to my Thursday newsletter for news about all of the latest and best pop-up and temporary things in London. Please sign up below!